George Woodcock (8 May 1912 – 28 January 1995) was a Canadian writer of political biography and history, essayist, literary critic, poet, anarchist, and pacifist. In 1959 he founded the journal Canadian Literature, the first academic journal specifically dedicated to Canadian writing. He is perhaps most famous for his work: Anarchism : A History of Libertarian Ideas and Movements (1962). Orwell can only be understood as an essentially quixotic man. … His was the isolation of every man who seeks the truth diligently, no matter how unpleasant its implications may be to others or even to himself. 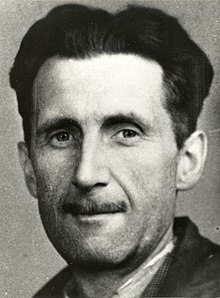 Orwell can only be understood as an essentially quixotic man. … He defended, passionately and as a matter of principle, unpopular causes. Often without regard to reason he would strike out against anything which offended his conceptions of right, justice and decency, yet, as many who crossed lances with him had reason to know, he could be a very chivalrous opponent, impelled by a sense of fair play that would lead to public recantation of accusations he had eventually decided were unfair. In his own way he was a man of the left, but he attacked its holy images as fervently as he did those of the right. And however much he might on occasion find himself in uneasy and temporary alliance with others, he was — in the end — as much a man in isolation as Don Quixote. His was the isolation of every man who seeks the truth diligently, no matter how unpleasant its implications may be to others or even to himself. Few doctrines or movements have been so confusedly understood in the public mind, and few have presented in their own variety of approach and action so much excuse for confusion. 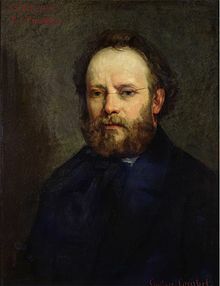 Pierre-Joseph Proudhon, that stormy, argumentative individualist who prided himself on being a man of paradox and a provoker of contradiction … became the first man willingly to claim the title of anarchist. 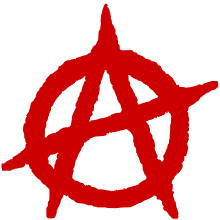 Anarchism, nihilism, and terrorism are often mistakenly equated, and in most dictionaries will be found at least two definitions of the anarchist. One presents him as a man who believes that government must die before freedom can live. The other dismisses him as a mere promoter of disorder who offers nothing in place of the order he destroys. In popular thought the latter conception is far more widely spread. The stereotype of the anarchist is that of the cold-blooded assassin who attacks with dagger or bomb the symbolic pillars of established society. Anarchy, in popular parlance, is malign chaos. Yet malign chaos is clearly very far from the intent of men like Tolstoy and Godwin, Thoreau and Kropotkin, whose social theories have all been described as anarchist. There is an obvious discrepancy between the stereotype anarchist and the anarchist as we most often see him in reality; that division is due partly to semantic confusions and partly to historical misunderstandings. What is to be the form of government in the future? … I hear some of my readers reply: "Why, how can you ask such a question? You — are a republican." A republican! Yes, but that word specifies nothing. Res publico; that is, the public thing. Now, whoever is interested in public affairs — no matter under what form of government, may call himself a republican. Even kings are republicans. "Well, you are a democrat." No … "Then what are you?" I am an anarchist! Gandhi on many occasions declared himself an anarchist — of his own kind — and he created, partly from his readings of Tolstoy and Kropotkin and partly on the basis of Indian communitarian traditions, the plan of a decentralized society based on autonomous village communes. Unorthodox though he might be, Gandhi fitted into the traditional pattern of the sanyassi who practices non‑attachment in the search for Truth; he was the karma yogin, the man who perfects and purifies himself through action. Gandhi was a completely unofficial man. He recognized the gulf that lay between the enjoyment of freedom and the exercise of authority. When the Indian National Congress, which he had led intermittently as a movement dedicated to achieving liberation by legal and extra‑legal means, itself grasped for power and became a political party, he withdrew. With an extraordinary persistence he made and kept himself one of the few free men of our time. Much in his career remains unexplained if we forget his insistence that religion and politics were bound inextricably in the common search for Truth. "To me," he said, "Truth is God and there is no way to find Truth except the way of nonviolence." Truth conceived as God is of course the Absolute. Truth perceived by man must always be relative, changing according to human contacts developing as men understand better each other, their circumstances and themselves. Gandhi never set out to develop a fixed and final doctrine, but emphasized that his practice of ahimsa, or nonviolence, was always experimental, that his political struggle like his personal life was part of a continuing quest for Truth as manifested existentially, a quest that could never end because human understanding was incapable of comprehending the Absolute. The identification of Truth as the goal of political action, as well as of religious devotion, and the refusal to distinguish between religion and politics, form the background to the great divergences between Gandhi's revolutionary ideas and techniques and those of other contemporary revolutionists … Unorthodox though he might be, Gandhi fitted into the traditional pattern of the sanyassi who practices non‑attachment in the search for Truth; he was the karma yogin, the man who perfects and purifies himself through action. Yogic disciplines of all kinds are held in India to confer power over destiny, and Gandhi believed that positive action — love and nonviolence — could intangibly influence men and therefore events. With Truth as the goal and at the same time as the principle of action (for in Gandhian terms ends are emergent from means and hence virtually indistinguishable from them), there was no place in Gandhi's idea of revolution for conspiratorial methods or guerrilla activities. Throughout his long life, George Woodcock stressed the primacy of the moral over the political and steadfastly defended the natural human tendency to rebel against artificial restraints. He never doubted Kropotkin' s confidence in mutual aid and the great maxims of Proudhon continued to guide him until the end: "Anarchy is Order" but "Property is Theft". This page was last edited on 14 April 2018, at 22:02.